The Brief: "I'm already Tracer" is a meme that comes from Tik Tok and Overwatch. 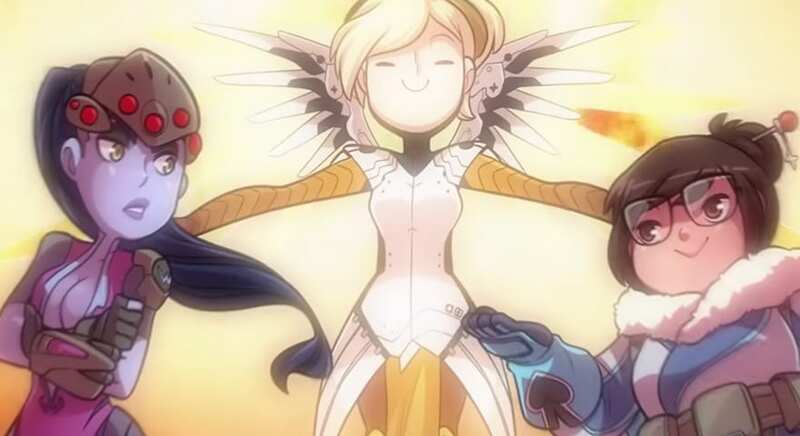 A meme has sprung from an Overwatch-themed song by The Living Tombstone. In the song, the male and female voices of Blackgryph0n and LittleJayneyCakes argue over who can play which characters. Blackgryphon sings “I wanna be tracer” to which LittleJayneyCakes responds “I’m already Tracer.” These lines joke about Overwatch players choosing to play their favorite characters rather than the ones that would best support their team. This song became a popular choice for Tik Tok users to lip sync to. Videos surfaced with female subjects singing along to the song while using video game controllers as props. Some of the props used were not actually compatible with Overwatch, prompting some male internet users to make jokes about these “gamer girls‘” apparent lack of knowledge about Overwatch. Along with memes about the song being cringey, these remixes and trolling videos went viral.